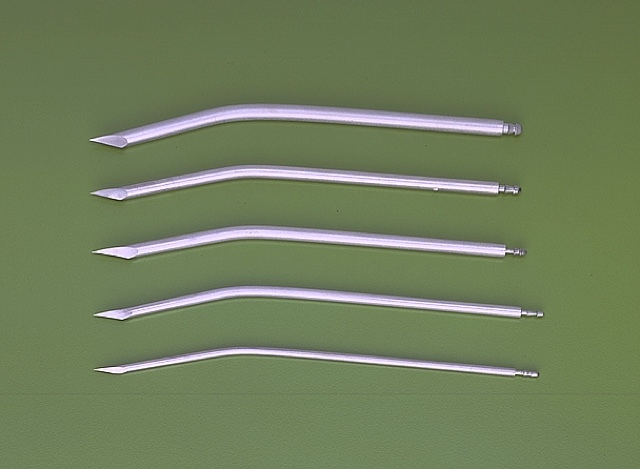 SIM NEEDLE perforation needles are highly pratical and convenient. Produced in AISI 304 steel, they can be sterilized and have an incorporated tube connector available in various diameters which permit a rapid and secure connection between the instrument and the drainage tube. The particular design of the cutting tip permits exceptional tissue perforation and considerably minimizes trauma.